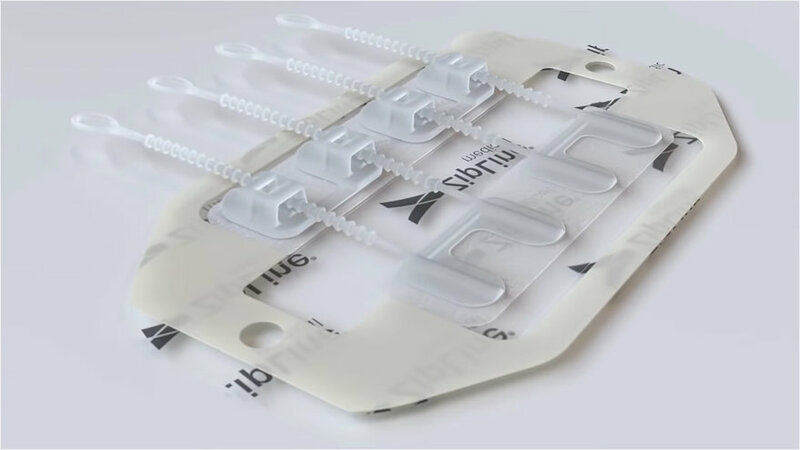 Zipstitch is a medical device that help close an open wound without the need for stitches. There are many advantages to using this product (and there a few disadvantages as well) but the fact that it is an alternative to stitches is probably its biggest selling point. No stitching means no pain. If you don’t have a strong threshold for pain, you should probably pay attention to the rest of this article. 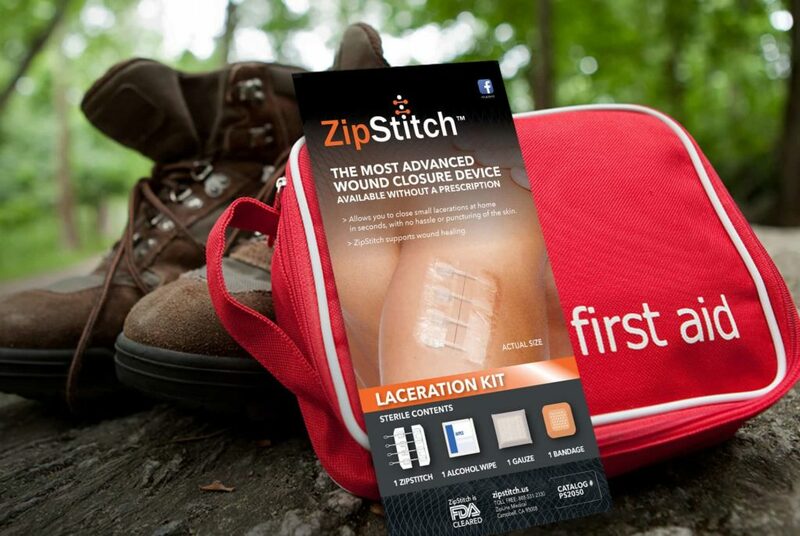 Zipstitch is touted as surgical-quality wound closure device. While it has been around for awhile, it is only recently that it is available for sale without a prescription. It is simple, quick to use and totally non-invasive. More importantly, unlike stitching, you don’t need any special skills to patch up an open wound. Since it is available over the counter, this means that you can prepare for an emergency by packing them in a first-aid box, survival kit or bug out bag. Zipstitch comes in an easy to store envelope. Besides the Zipstitch device itself, it also comes with a gauze pad, alcohol wipe and bandage. To use, you first have to control the bleeding the gauze pad. Then you need to clean and disinfect the wound with the alcohol wipe before allowing to completely dry. A dry surface is important as it allows the adhesive on the Zipstitch to stick properly on the skin surrounding the wound. Next, you place the Zipstitch over the wound and close the wound by pulling the zip tie-like plastic tabs. Lastly, you snip away the excess tabs and cover with the supplied bandage. The entire process takes just a few minutes at most. Zipstitch allows you to do a pretty good job of closing a wound without stitches, pain or stitching skills. The last bit is important if you know that you won’t have easy access to medical care such as on a camping or outdoor trip. The lack of pain is important when treating a child as it is less traumatic than stitches. Studies have also shown that Zipstitch leaves behind smaller and thinner scars compared to stitches, staples, sutures, and other wound closure methods. Because of the way it works, Zipstitch doesn’t work for all kinds of open wounds. It works best for small, shallow, and straight cuts. The cut must be under 1.5 inches long. Perhaps longer cuts are considered too major to be treated with an emergency device like Zipstitch. Interestingly, longer versions of it are available for use by medical practitioners. Last but not least, the instructions say that you should not use it on hands, feet, face, or scalp.